MGP president Deepak Dhavalikar said the party has decided to support Congress in both the Lok Sabha seats in Goa. The Maharashtrawadi Gomantak Party (MGP) on Friday said it would soon withdraw support to the BJP government in Goa. The MGP has expressed support to the Congress for Lok Sabha elections and Mapusa by-poll, both of which will be held on April 23. The MGP and Congress have fielded their candidates for the Shiroda by-poll as well. “We have decided to withdraw support to the Pramod Sawant government. We will soon be writing to Governor Mridula Sinha,” MGP president Deepak Dhavalikar said. Dhavalikar said that the party has decided to support Congress in both the Lok Sabha seats in Goa. 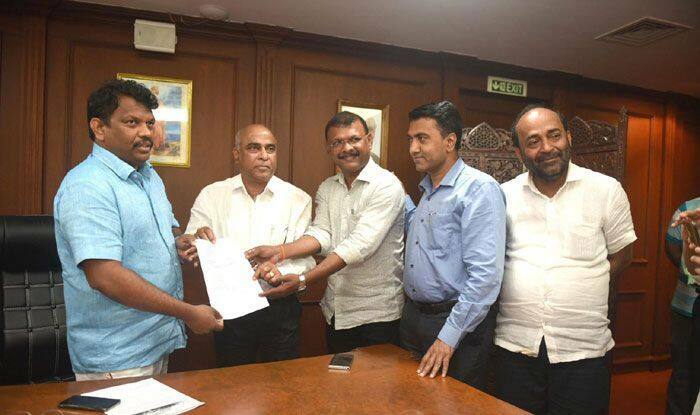 Recently, two MGP MLAs Manohar Ajgaonkar and Deepak Pawaskar had left the party to join BJP, reducing the former’s strength to one in the 40-member House. The state government currently enjoys the support of 14 BJP MLAs, three from the Goa Forward Party and three Independents. After the MGP withdraws support, the opposition benches will have 14 Congress MLAs and one each from MGP and NCP.